The state says it will return here for a surprise visit to make sure the day care, where a one-year-old died, is no longer operating. An unlicensed child care facility at a New Hampshire home where a 1-year-old died earlier this week was not in compliance with state laws and had received previous complaints, according to the state Department of Health and Human Services. Nashua police responded Wednesday afternoon to a home on Ash Street in for a report of a child who was unconscious and not breathing. Responding crews performed CPR on the boy, who was transported to a local hospital and later pronounced dead. The death is not considered suspicious, according to police. Police notified the Child Care Licensing Unit on Wednesday that the facility had five children in its care, in addition to the provider's children. By New Hampshire law, providers caring for more than three children in addition to their own are required to be licensed by DHHS. DHHS said it sent the facility a letter this week requiring it to cease operations and come into compliance with the law. Following the facility's receipt of the letter, DHHS investigators will make an unannounced follow up visit. If the facility is still found to be in violation, DHHS said it will consider "any and all legal recourse," including referring the matter to the attorney general or county attorney for criminal prosecution. DHHS says the facility has received previous complaints. "In 2013, DHHS received an anonymous complaint that the facility was caring for more than three children in addition to the owner’s children. DHHS investigators made unannounced visits during regular business hours to investigate the complaint on three separate occasions over four weeks. At each visit, there were no adults or children present at the facility and no evidence of child care being provided. DHHS investigators took every action available to them within the law. Due to the anonymous nature of the complaint, DHHS was unable to conduct further follow up on the allegation." “DHHS has a record of a founded complaint in 2008. Electronic records are not available for periods prior to 2009; paper records are kept for four years by statute. However, when a complaint is founded, meaning there was evidence of unlawful behavior, DHHS policy is to issue a letter requiring ceasing of operations and conduct an unannounced follow up investigation. That is likely what occurred in 2008." DHHS is closely following the Nashua Police Department’s investigation and will take additional action as appropriate. Several other children ranging from 7 months to 14-years-old were at the home at the time of the 1-year-old's death. Their parents were notified, and the children were evaluated as a precaution, but all were medically cleared. Neighbors are deeply saddened, but not completely surprised. Wayne Andrews said he and his wife reported the home to the state after witnessing a woman apparently neglecting children on the property. 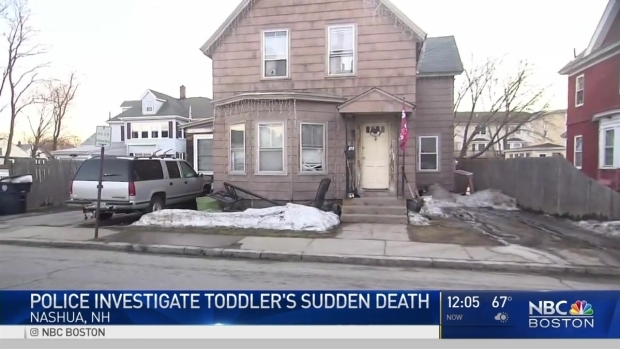 An autopsy of the 1-year-old has been conducted, but its results are still pending.